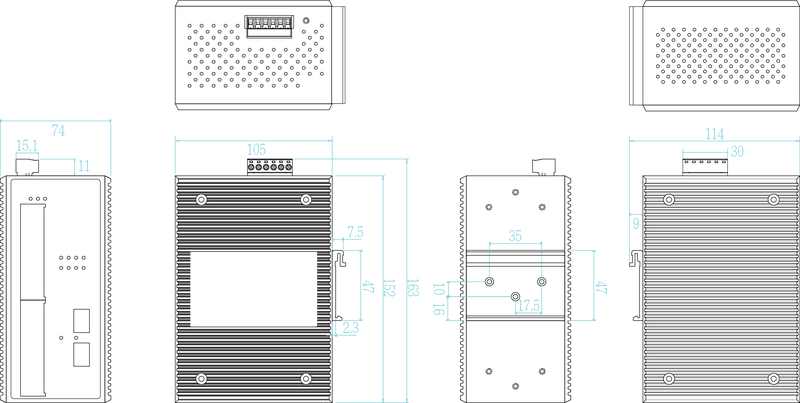 Equipped with DC 12~48V redundant input power, the Lantech IPGS-0208GSFP-12V is able to boost input voltage from 12V to 48V then feed each PoE port up to 15.4Watts/30Watts with total PoE power budget 80W at 12V, 120W at 24V input or 240W at 48V input. 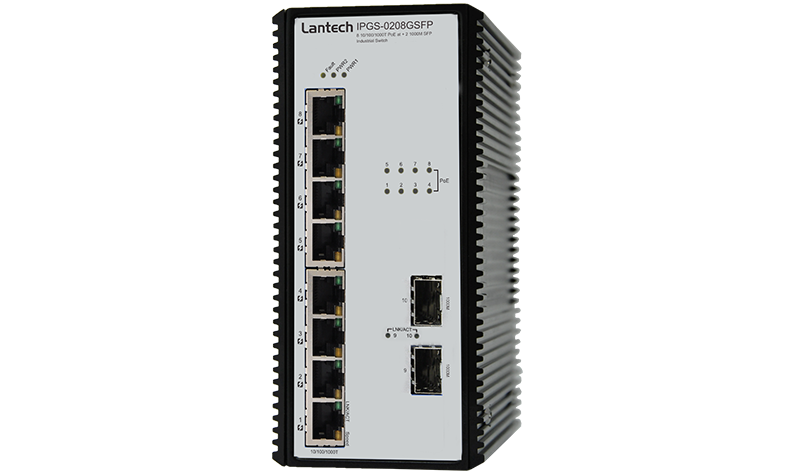 Lantech IPGS-0208GSFP provides ±2000V EFT/SURGE and ±4000 VDC (Contact) / ±8000 VDC (Air) Ethernet ESD protection, which can reduce unstable situation caused by power line and Ethernet. It has high reliability and robustness coping with extensive EMI/RFI phenomenon, environmental vibration and shocks usually found in Automation, transportation, surveillance, Wireless backhaul, Semi-conductor factory and assembly lines. RJ-45 port # 1~#8 support IEEE 802.3at/af End-point, Alternative A mode. Per port provides 30W at 54~56VDC/15W at 48V~56VDC.